As we age, we lose bone and facial subcutaneous fat. 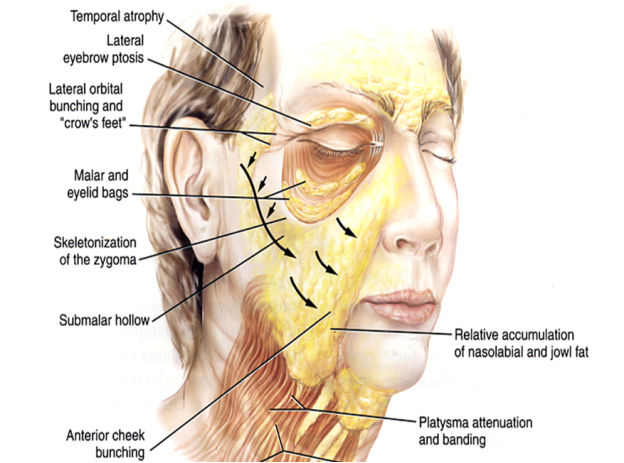 This volume loss produces a “deflation” effect on our faces, leaving loose skin to sag due to the effect of gravity. There are, however, things we can do. On our bodies, the skin tends to sag with advancing age due to loss of bone and muscle volume, as well as due to progressive thinning of the skin as a result of loss of collagen. Visit Medical Spa Club to learn how to tighten sagging skin.